Taro coconut milk can be served hot in the winter and cold in the summer. 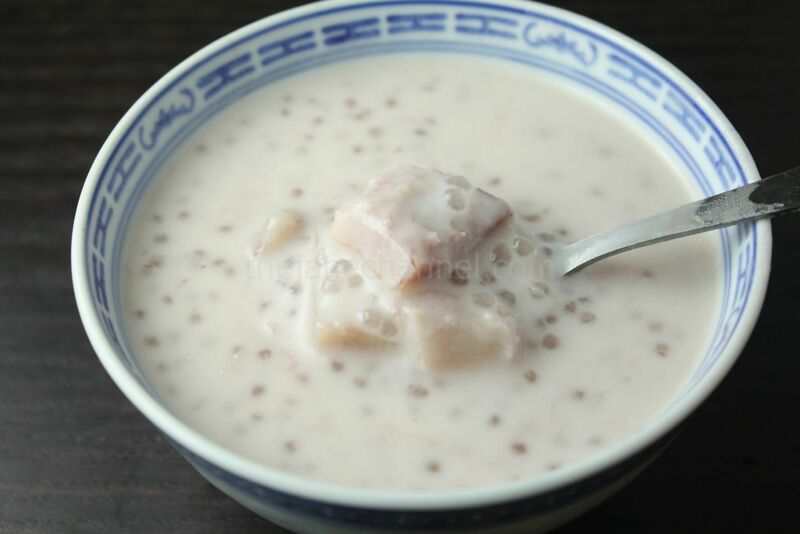 For the hot summer days, a smooth and creamy chilled sweet soup like taro with tapioca pearls is the best treat. A perfect finale to any summer meal and it’s quite easy to make. Bring a pot of (6 cups) water to boil, stir in sago pearls, cover and cook for 5 minutes. Remove from heat with the cover for 30 minutes or until the pearls turn translucent. Rinse with cold water and set aside. Bring a pot of (6 cups) water to boil, add taro, then reduce the heat to medium-low, simmer for about 15 minutes or until softened. Add coconut milk and sugar, stirring until sugar dissolve. 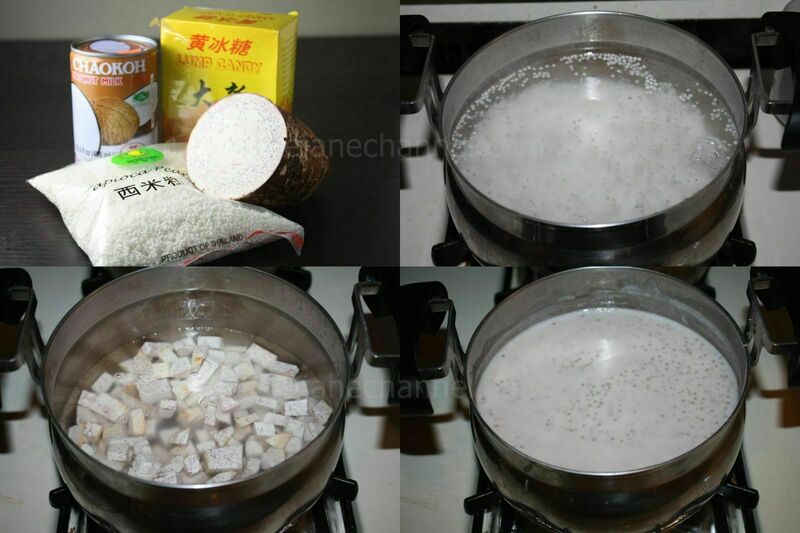 Bring to a boil and stir in tapioca pearls until well combined. omg I can’t believe the ingredients are so simple. i really miss chinese desserts… this is going into my “recipes to try” list!!! That looks so yummy in my tummy!!!!!!!! I just made this and it’s so good! I have a lot of clumps in the tapioca though. Is there any way to lessen the clumps? Emily – When you rinse them with water, you can use your hands to separate them.